Arguably it could be said that satellite operations in March have been a bit thin on the ground for me, however, there has been some reasonable stations heard on the birds. 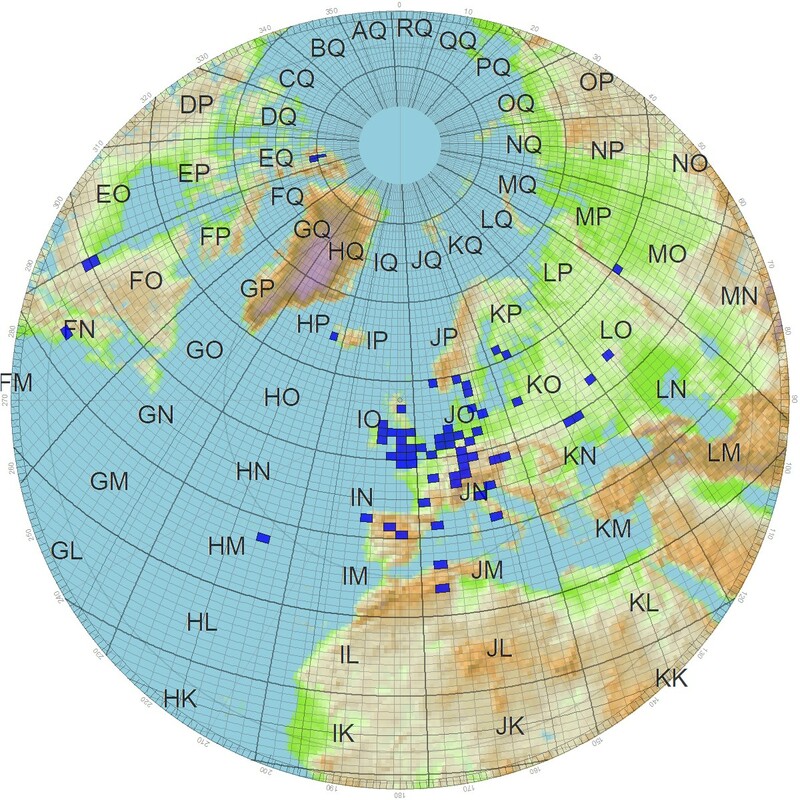 AO-91 provided quite a few new squares for me with VY0ERC have been operational in cold conditions but worked them in ER60, EQ69, EQ79. Ken VE3HLS in FN09/FO00 & N1AIA in FN43, it was also nice to hear another station in Iceland active this time TF2MSN in HP84. On AO-92 I haven’t worked any DX via this satellite, however, there’s been plenty regulars on and it’s been in L band mode I think nearly every weekend. On the usual U/V mode, I worked 2W0SEU on a quiet pass who was mobile not quite sure his square at the time. Of course, across all the satellites I worked the usual people but these are the ones of note. Outside of operating via the usual fleet, the guys behind Picsat announced that on the 16th of March they were going to run a test of the FM repeater onboard, which they did at 11z it sounded fantastic and as you can hear in the recording I could hear their transmission and also myself without any problem. Sadly soon after this, the satellite started showing issues and they have declared it the end of the project, hopefully, the satellite might come back to life. Now we’re into April the weather has been improving with temperatures well into double figures so hopefully, health might stabilise and I can work on the station some more, ideally, I’d like to wrap up getting 100 grid squares confirmed before the end of April and get my Eumetcast system up and running along with decoding live APT satellite images on 137MHz. Nice to see the blog of what your up to and it sounds like you have an action pack summer planned APT and work on the station I hope it all goes well. Nice to work you on the birds hope to do more at this end like you said now the weather is on our side so best 73 will be listening for you.